In the heart of the New Orlean iconic French Quarter the Chateau Hotel welcomes visitors to its finely restored 18th century mansion hotel. With all modern amenities and comfort this is a perfect setting in the upcoming Lower Quarter. Guests enjoy a sense of calm that partners with the extraordinary excitement in the numerous attractions of the historic city. Just 2 Blocks from Bourbon Street. Located on the casual Chartres Street in the heart of the French Quarter 2 blocks from the world famous Bourbon Street. 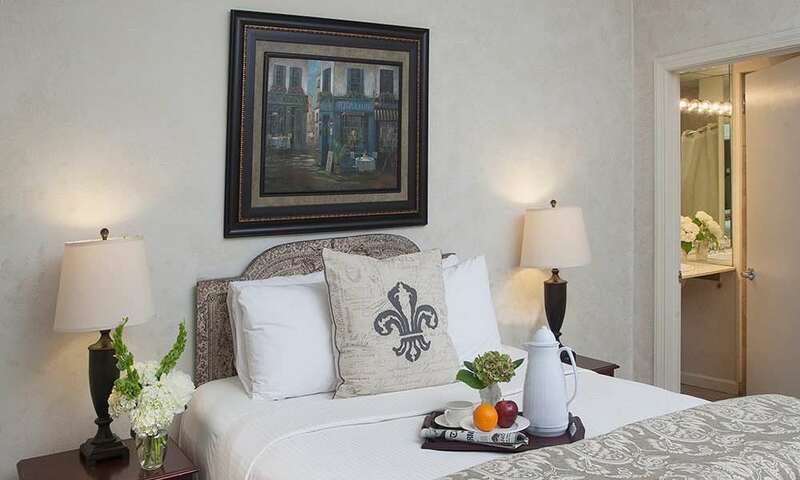 Surrounded by the best restaurants attractions and entertainment of the French Quarter. 2 Blocks to the French Market Streetcar Line and Mississippi River. 3 Blocks to Caf Du Monde in Jackson Square and St. Louis Cathedral. 10 blocks to Canal Street.